Our flagship line of Custom Drums is offered in North American Hard Rock Maple, Select Heartwood Birch, and now Maple/Mahogany. Collector’s Series® is the original American Made custom drum set. Choose from a myriad of state-of-the art California Custom Shop shell configurations and a seemingly endless array of high-end finishes and drum hardware color options to create your very own dream set-up. 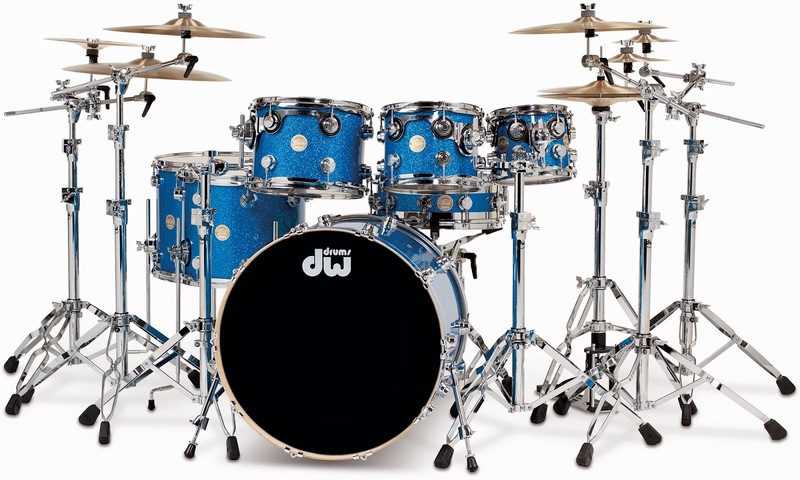 DW Custom Shop finishes are only limited by your imagination; the possibilities are virtually endless. For example, just about any lacquer color can be bursted or faded over an Exotic. Try changing up Graphics color combinations, or even lacquer over FinishPly™. Then, there's the understated beauty of Satin and Hard Satin finishes, and a myriad of durable FinishPly™ coverings. All Custom Shop finishes are applied by hand by a team of seasoned craftsmen, it's what makes DW drum finishes so famous.